Over the past couple of months I’ve definitely started to develop more of an interest in my hair. 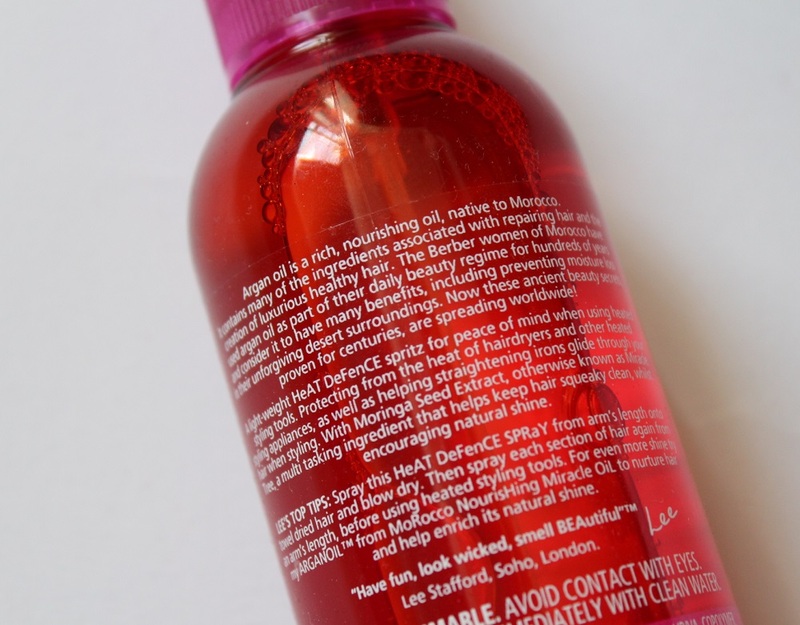 Initially I was on the look out for products which give texture and volume, but lately my primary concern has been to protect my hair and keep it looking healthy and soft which is embodied in the Lee Stafford Argan Oil Heat Defence Spray. This is my first Lee Stafford hair product and I bought it on recommendation from my cousin who sung very high praises about the Argan Oil Heat Defence Spray, and she was right to! Firstly there’s simply a lot of appeal from Lee Stafford products. The vibrant pink makes it really stand out on the shelves and it certainly made my job easier when I was wandering around Boots. To use, spray onto towel dry hair and then blow dry. I use a hair dryer quite a lot so what I like best about the Argan Oil is the protection against styling tools, but also maintaining your hair’s softness. 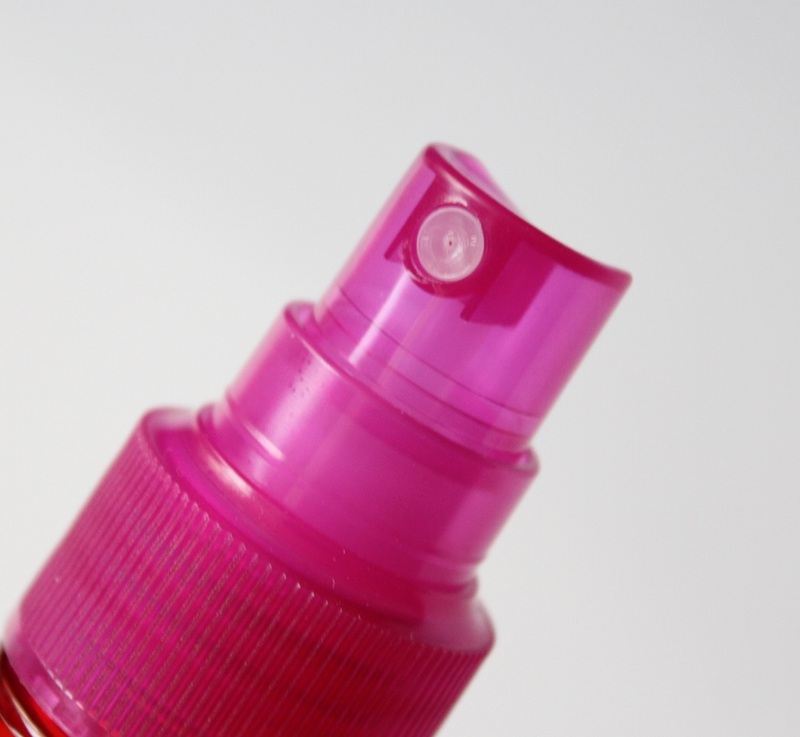 Additionally you can spray onto dry hair to use before styling irons so it glides through your tresses. Once dry, my hair feels incredibly silky smooth and tangle free making it so much more manageable and I’m no longer having to attack my locks with a hair brush! It’s particularity handy that it comes in a spray bottle too as you don’t have to get your hands messy, just spray and you’re done! 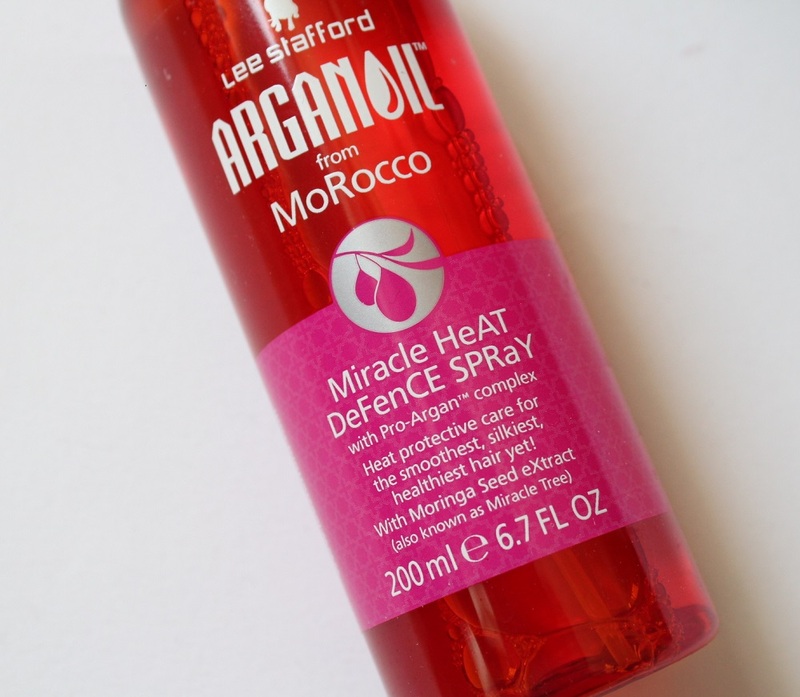 The Lee Stafford Argan Oil Heat Defence Spray costs around £12.99 for 200ml and I purchased mine from Boots. In my opinion time money well spent and it’s a bit more purse friendly compared to Moroccan Oil and Macadamia Oil. 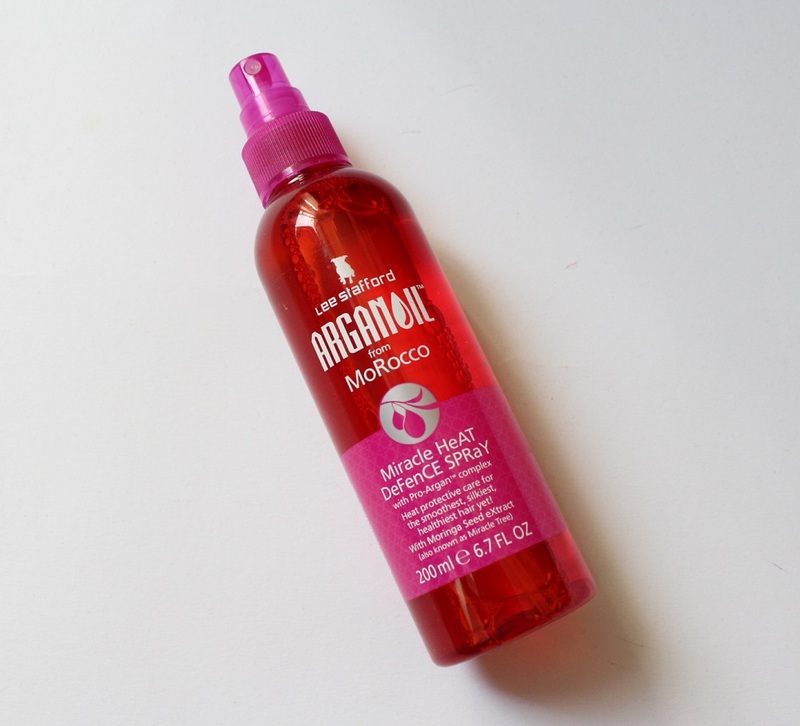 Have you tried the Argan Oil Heat Defence Spray? What are your favourite Lee Stafford products?